Lecture by Vit Havránek, curator of the Ján Mančuška exhibition. A retrospective exhibition of Ján Mančuška is the first in Poland comprehensive overview of the works of this one of the most interesting Czech artists. It summarises his creative searches inspired by the experiences of conceptual art and his stays in various locations all around the world. Mančuška (1972–2011) born in Bratislava, studied in Prague and in the U.S., lived in Berlin. He appeared on the art scene of Prague in 1990 together with other members of the ‘Headless Horseman’ collective: Josef Bolf, Jan Šerých, and Tomáš Vaněk. His practice was remotely related to the local specificity of the Czechoslovak version of conceptualism represented by artists such as Stano Filko or Jiří Kovanda. 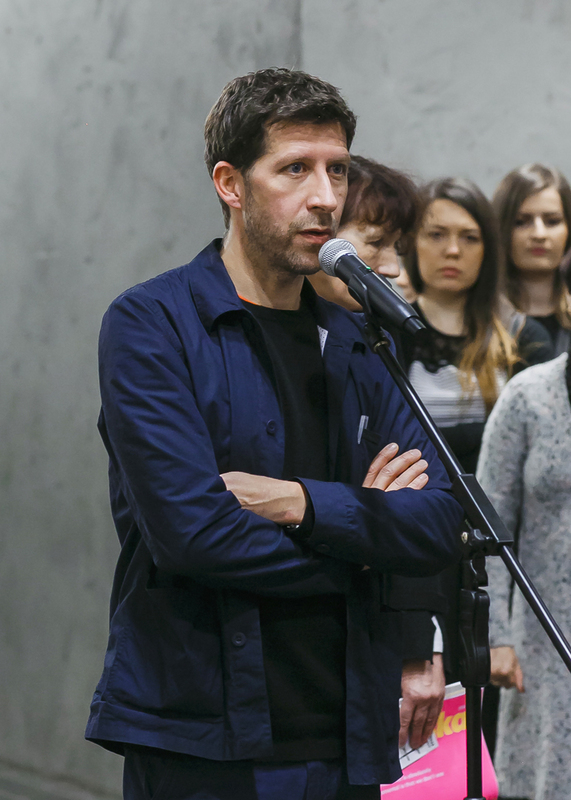 Similarly to artists from Pondělí (Monday) group, Mančuška maintained that his artistic identity originates from social and cultural construct that goes against the foundations of the Czech surrealist and romantic traditions. He also purposefully combined the features typical of art prior to and after the fall of the Berlin Wall. With time, two lines started to feature prominently in his oeuvre. On the one hand, he developed post-conceptual art, in which he was interested in the language used in the process of narration in literary works, video art, performance, and film. On the other hand, he was fascinated with real-life stories often of existential dimension. Besides artistic practice, Mančuška dealt with the theory of art. In accordance with his views, when working on exhibitions, installations or performances in various countries around the world, the artist attempted to grasp the specificity of a particular location and specific historical experience accumulated in it. The objective of the exhibition "Ján Mančuška. That what is absolutely fundamental is that we don't see" is a retrospective, orderly chronological presentation of the artist’s oeuvre. The exhibition focuses on meticulous exposition or restoration of intellectually and aesthetically sophisticated works, many of which come from prestigious art collections. The visitors will enjoy the opportunity to see artist’s drawings, studies and materials, as well as to take a closer look at the reconstruction of the post-conceptual Mančuška’s workplace, an alternative to a traditional artist’s studio. The exhibition will be accompanied by a publication edited by the curator of the exhibition containing the selection of texts of the artist himself and his artistic biography.